Happy Monday everybody. Hope you all had a lovely weekend and thanks for sharing some lovely springtime photos last week. This week, just a couple of hundred metres from the Discovery Centre, there is a movie being filmed (a WW2 Mel Gibson directed movie). Here I can be at work all day and not see a single soul, today is very very different! This guy ain't bad looking. You want "Star"? 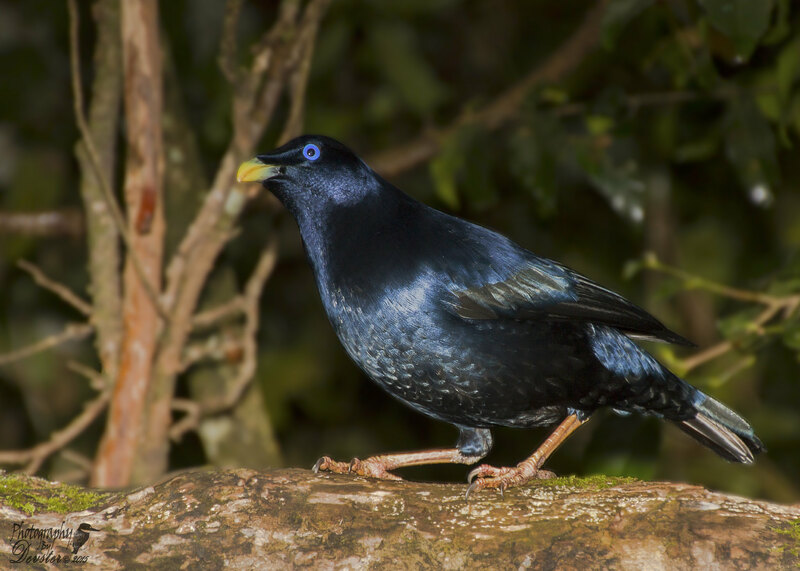 I am the Star, no other female bird has eyes as blue as mine. 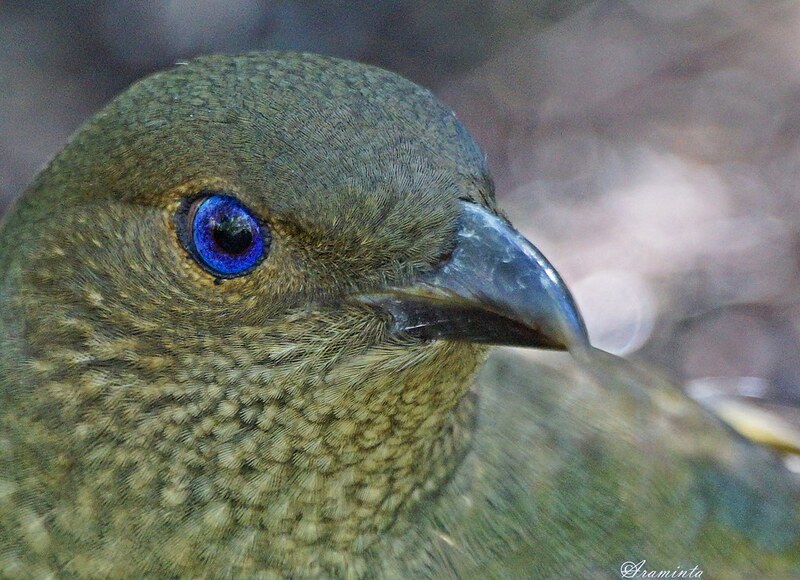 Araminta, were do you go to get all your Satin Bowerbird shots? Or are you lucky enough to get then in your backyard? I have them in my garden Tegan. This guy was such a big star that he gave me a wave! 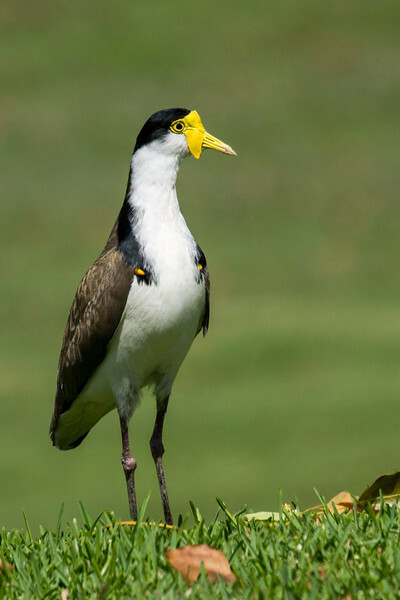 This bird is rather handsome or pretty. 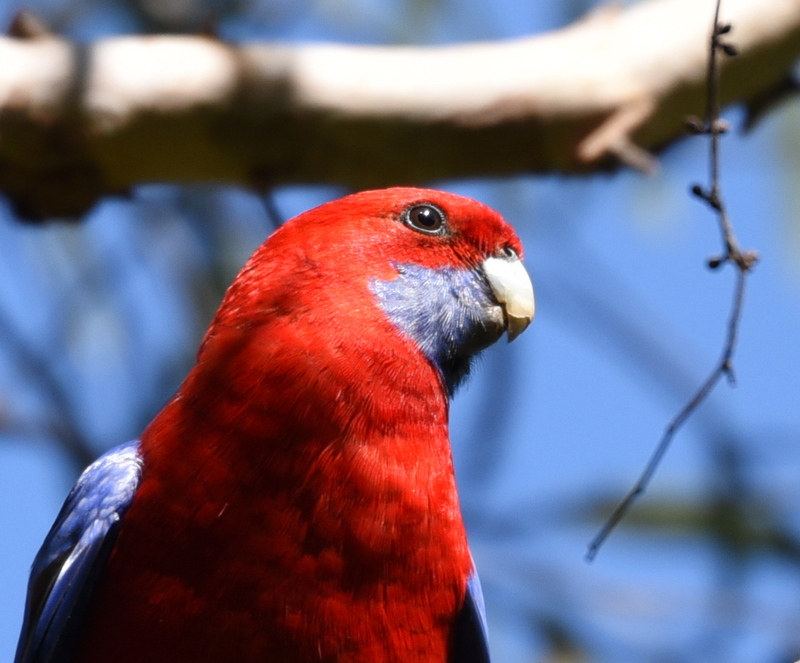 King parrot I think..
Great picture! You have a great camera with a sharp focus. 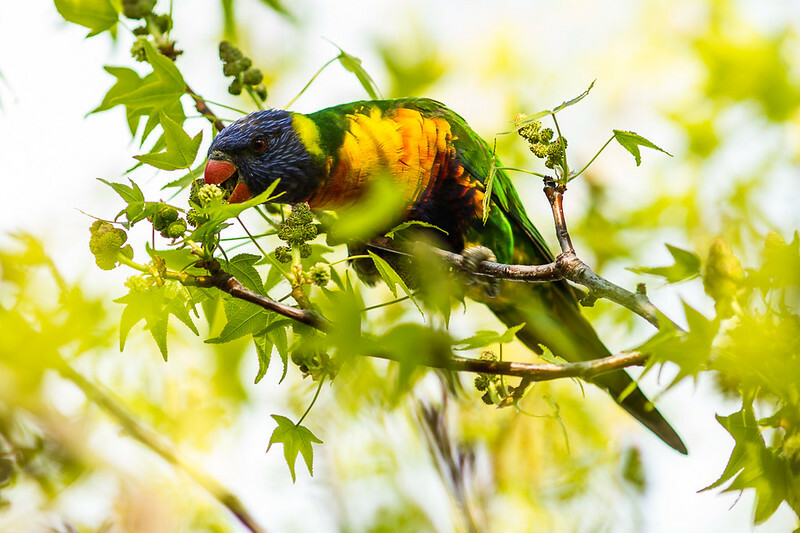 Your bird is a Rainbow Lorikeet - and yes, definitely a super-colourful bird! 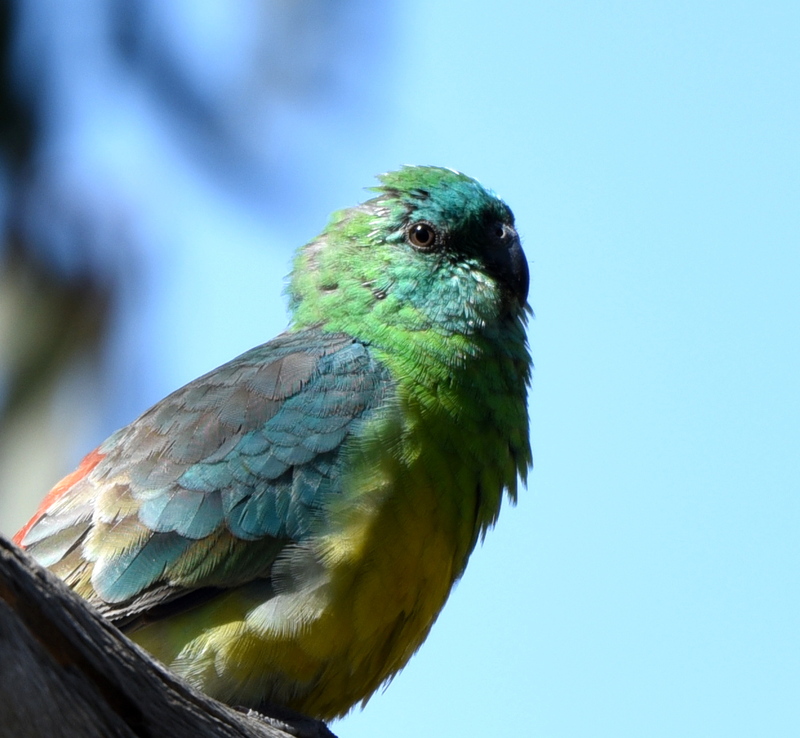 King Parrots are also lovely. Below is one I happened to take (on my iphone) about 3 weeks ago in the back yard. Male (red) and female (green). Thanks Dave. I wasn't sure about that one. The sharpness is due to the 200mm prime lens that I use. I often take a couple of shots with such a narrow depth of field to get one good shot. 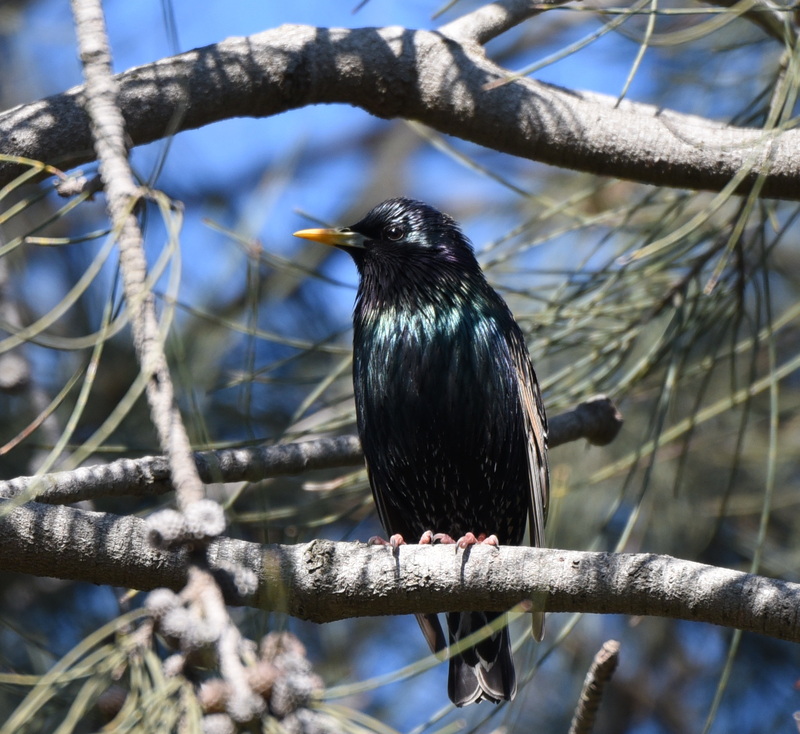 The Common Starling has definite star quality with its iridescent outfit. Should you ever need an angel, just call my name..., I'm a star. 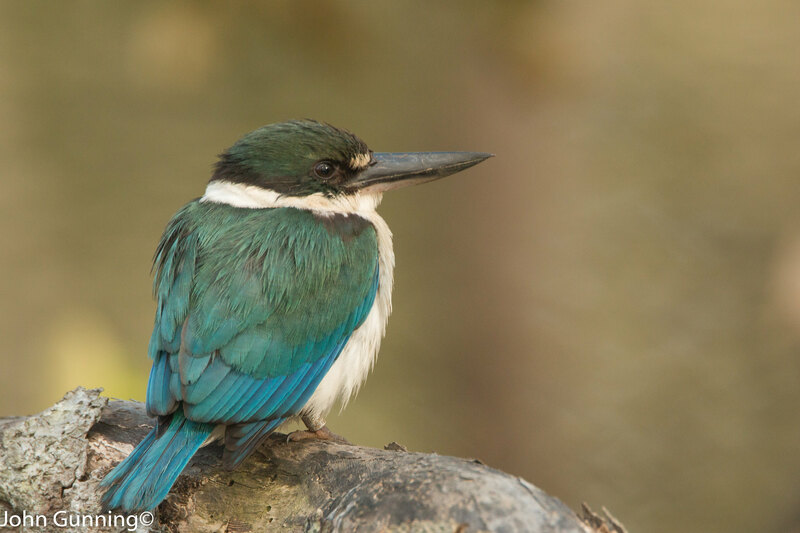 davidennew, I think thats a laughing Kookaburra as the Blue Winged don't have the brown band on the head and their blue is more consistant not mottled. Great photo though. Definately posing like a star. A rather cool and colourful character. "I'm too cool for this page." Definite "Rock Star" look here. One of the "Stars" from Nudgee Beach. davidennew - that's a terrific shot, but I think your bird is an Osprey. 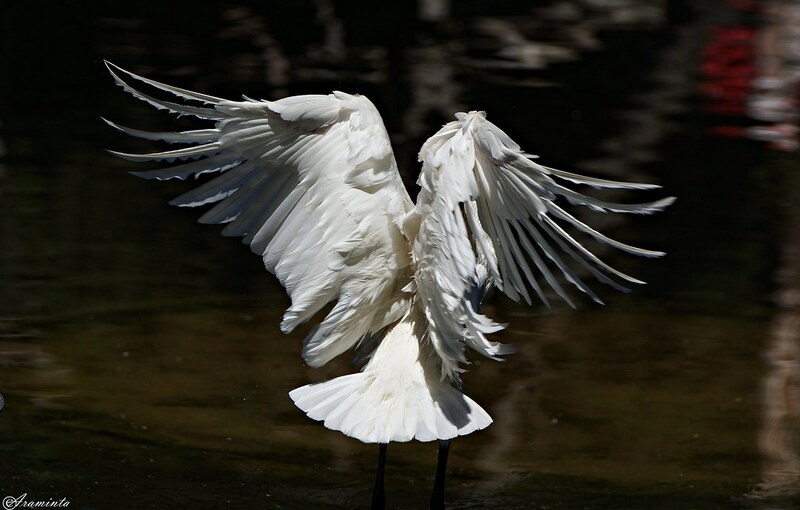 Wonderful sharpness with those outstretched wings. Although if you have a picture of a Brahminy Kite, they definitely are a rock-star bird too.